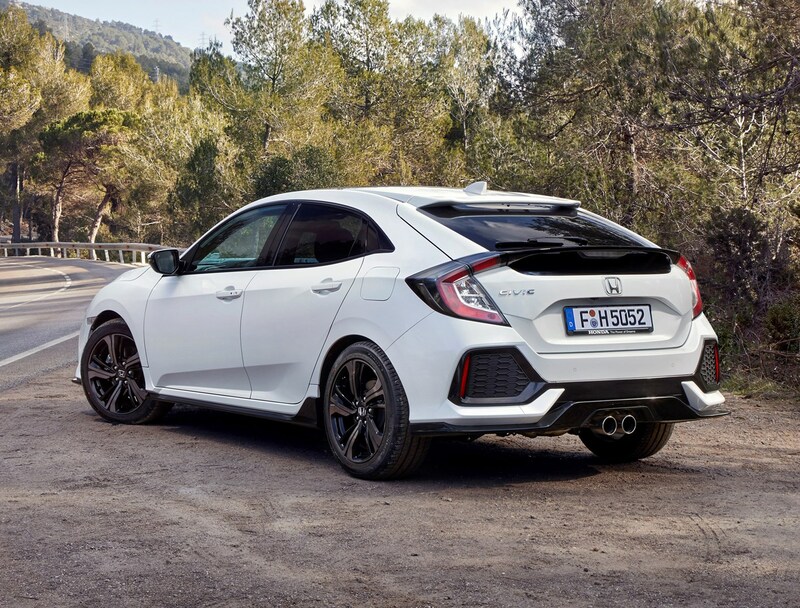 For the 2017 model, Honda decided to give its 1.0- and 1.5-litre models completely different trim designations, with the smaller-engined car retaining pretty much the same line-up as before. The 1.5s, though, get new trim names – intended, no doubt, to attract premium car buyers, for which old-style badging just won’t do. 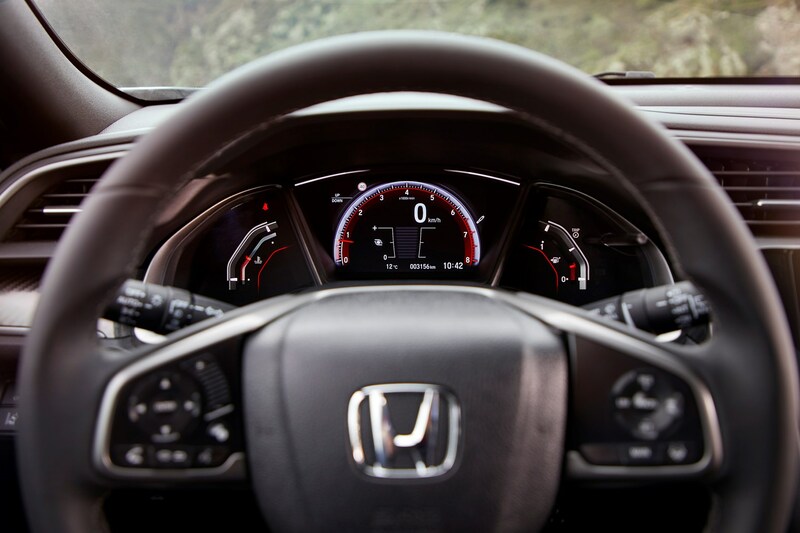 All models are big on standard-fit safety kit, with event the entry-level S getting automatic headlights, adaptive cruise control and the Honda ‘Sensing’ suite of advanced active safety technologies. The infotainment set-up is good, but not quite as intuitive to use as the Volkswagen Golf’s, but it’s perfectly well equipped. 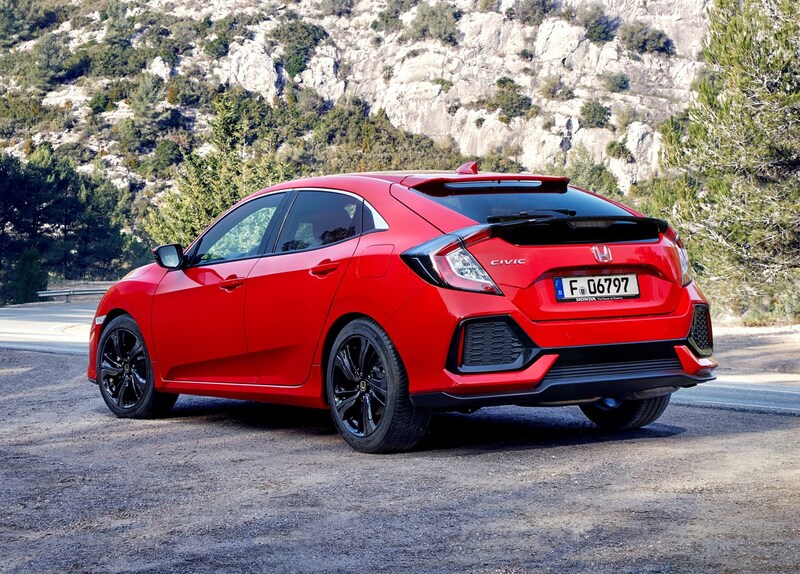 The 129hp VTEC Turbo model is available in four trims: S, SE, SR and EX, while the 182hp VTEC Turbo comes in Sport, Sport Plus and Prestige forms. 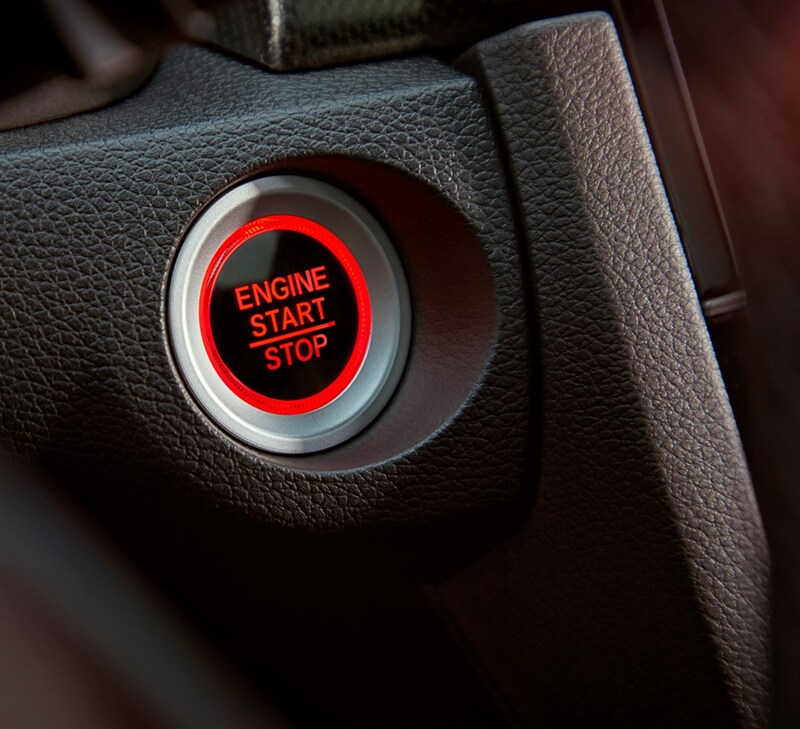 The SE model gets heated front seats, heated door mirrors, an eight-speaker audio system, 16-inch alloy wheels and air conditioning. 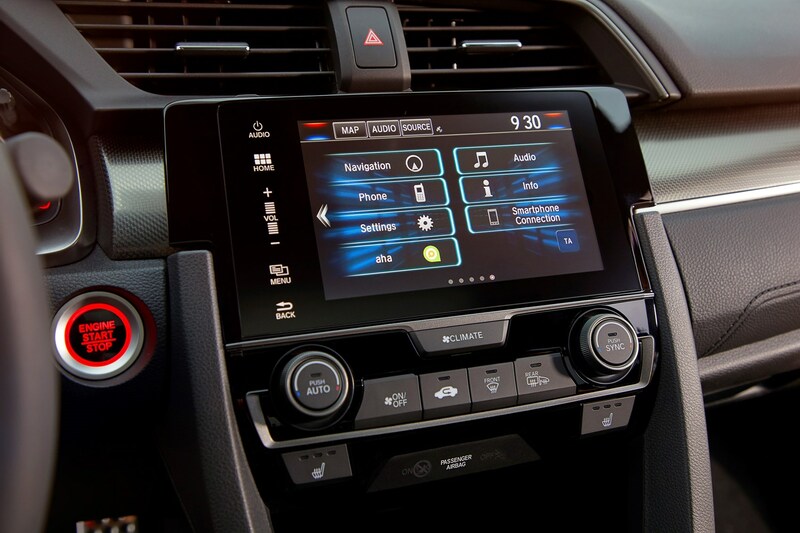 SR models gain the Honda Connect 2 infotainment suite, 17-inch alloys, front and rear parking sensors, rear parking camera and dual-zone air conditioning. 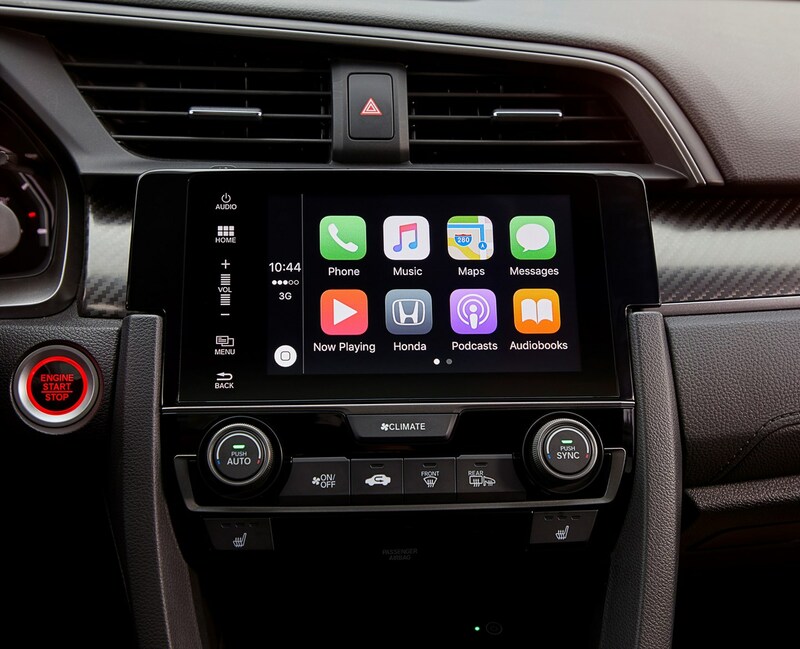 You also get a larger infotainment screen, and Apple CarPlay and Android Auto connectivity as standard. 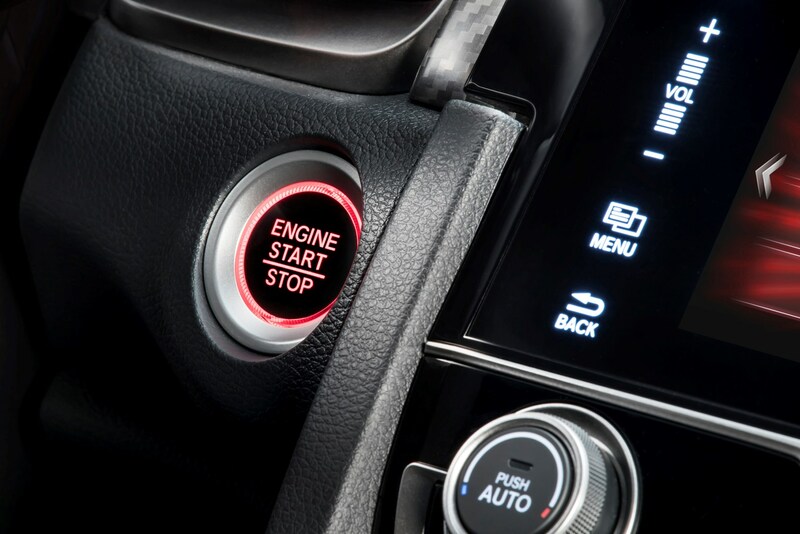 The top 1.0-litre car, the EX, adds leather upholstery, LED front headlamp clusters, smart keyless entry and start, a power-tilt panoramic sunroof, and a premium audio system (11 speakers with 465 watts output). 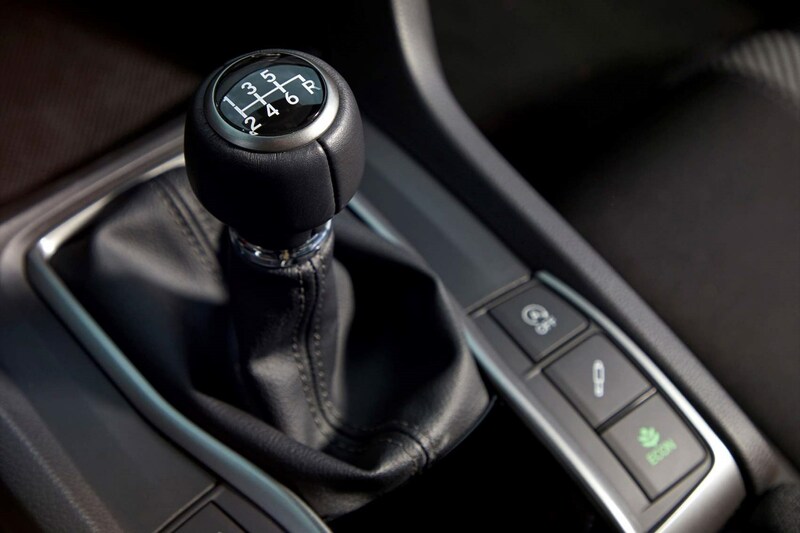 Executive grade models are also fitted with the Dynamic Damper Control system. 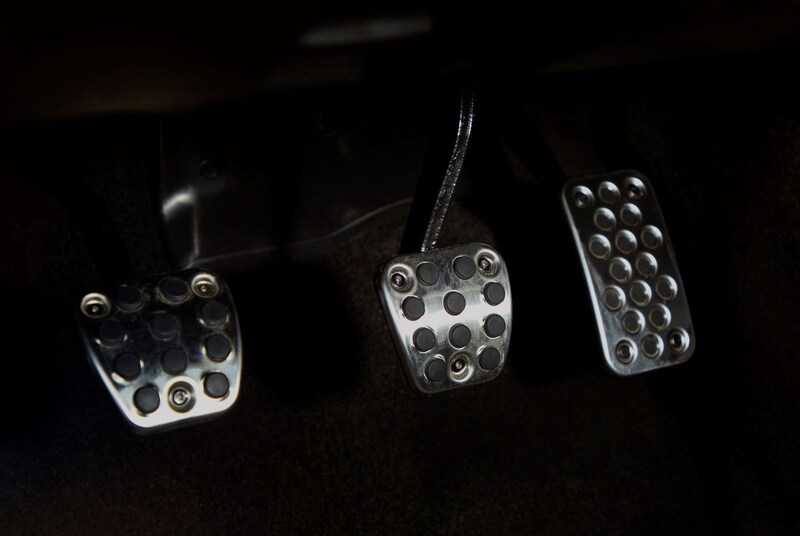 The 1.5 litre also comes in three variations: Sport, Sport Plus and Prestige. 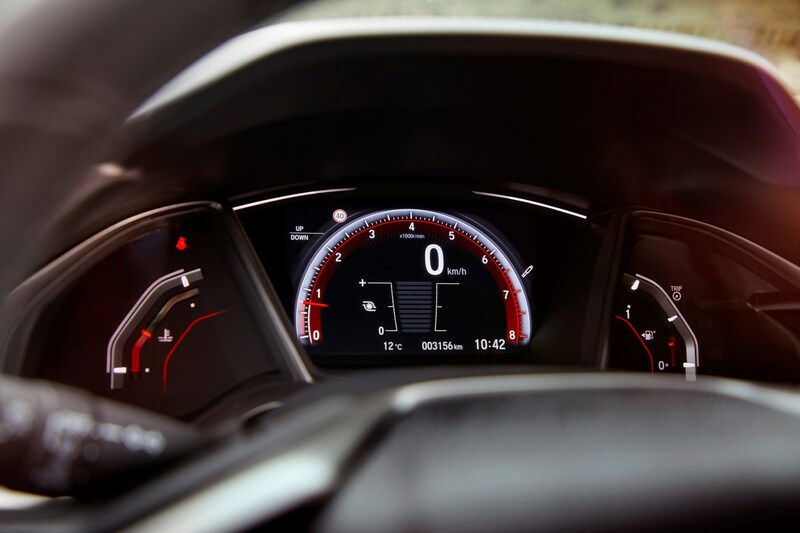 Sport models get 17-inch alloys, front and rear parking sensors, a rear parking camera, the Honda Connect 2 infotainment suite, dual-zone air-conditioning, LED headlamp clusters, twin centre exhaust outlets and a bodykit. Sport Plus models add an electric panoramic sunroof, Dynamic Damper Control, a premium audio system (11 speakers with 465 watts output), smart keyless entry and start, and a wireless charging pad in the centre console. Finally, the Prestige version gets a chrome front grille and door handle finishes, leather upholstery and heated rear seats. 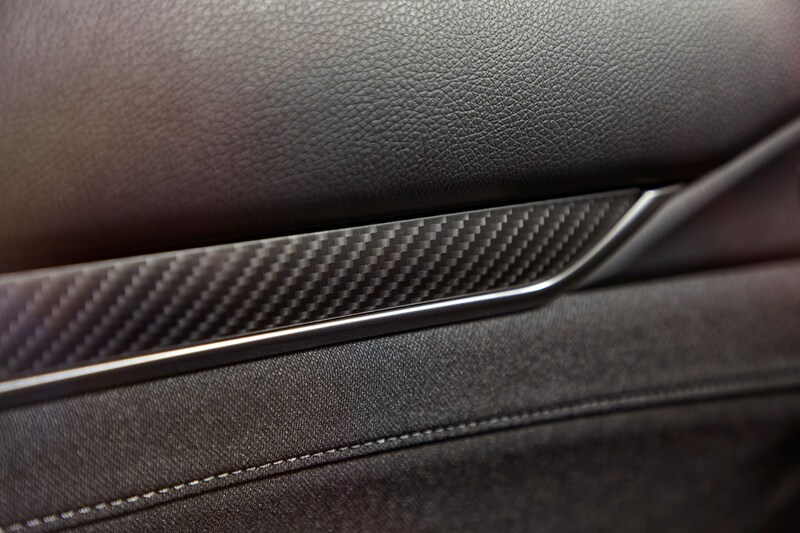 In December 2018 Sport Line trim was announced, building upon SR spec with added bodystyling. It was available in red, white and blue. 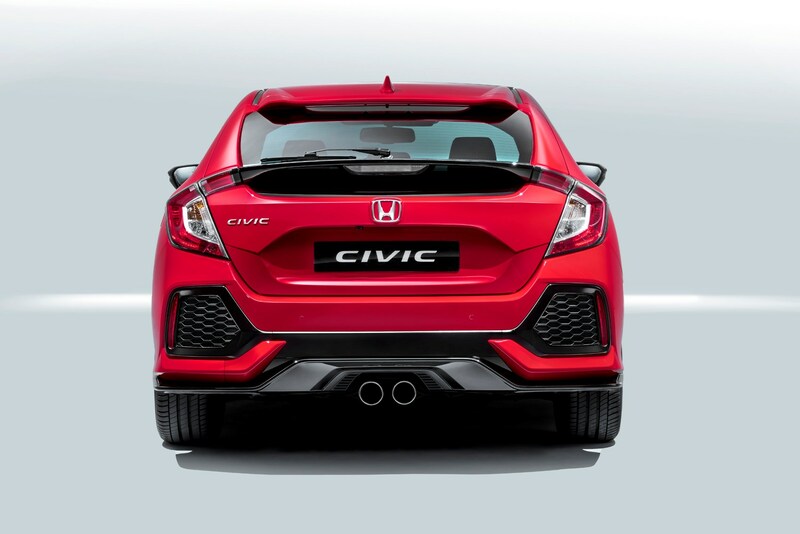 The Civic Type R comes in two trim levels: standard and GT. 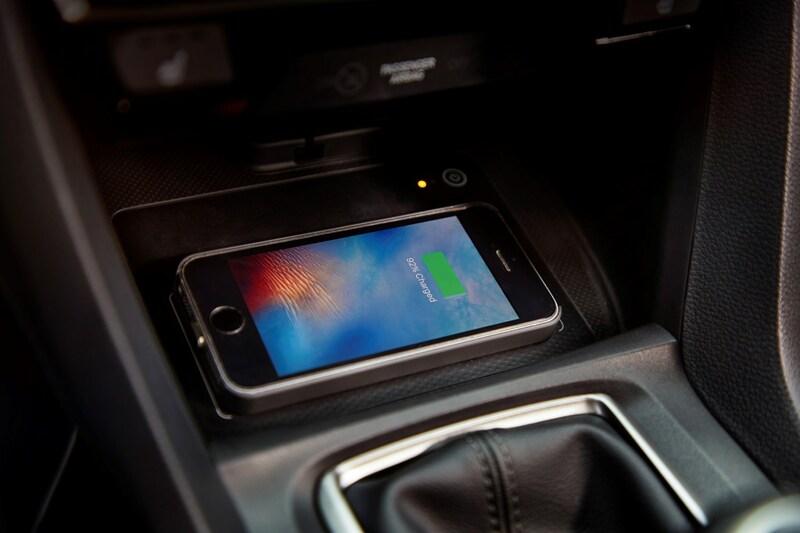 Both are well equipped, however the latter benefits from extra kit such as sat-nav and dual-zone climate control. There is a choice of two optional exterior styling finishes: Black Line and Orange Line. 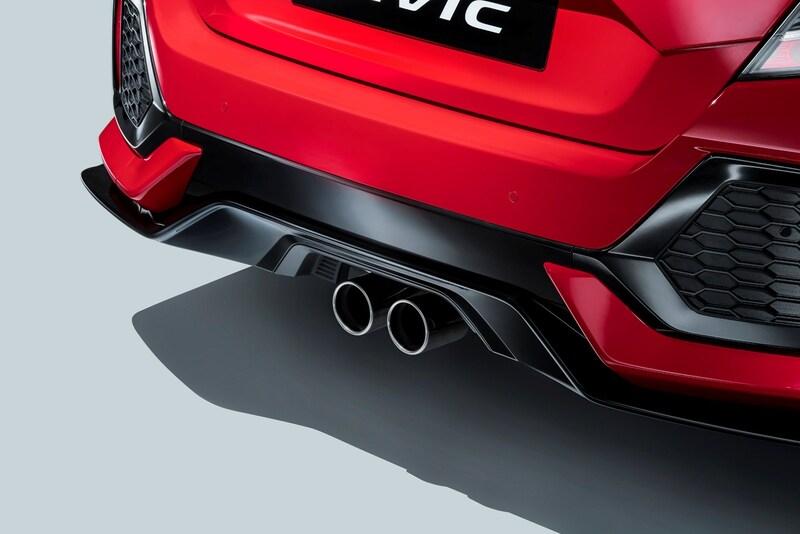 The Black Line and Orange Line gain a front spoiler, side skirts and rear diffuser, as well as mirror caps in either black or orange. 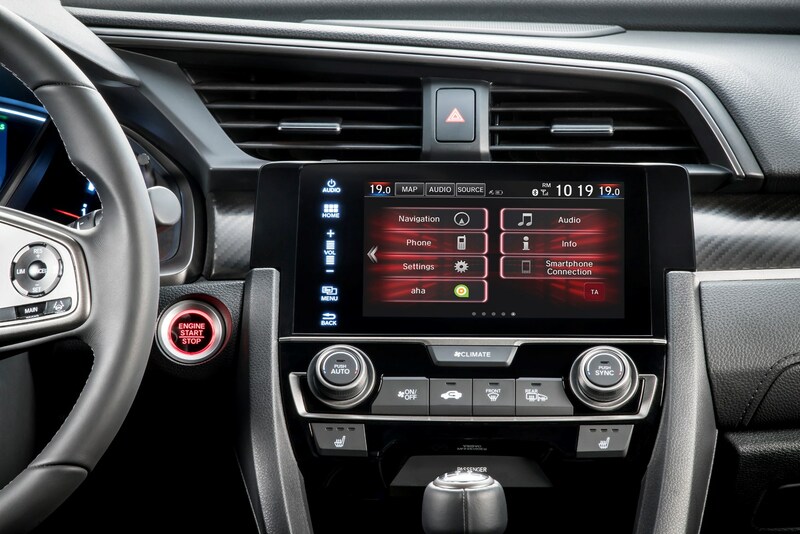 Orange Line also includes interior accents across the dashboard in the same vivid colour. 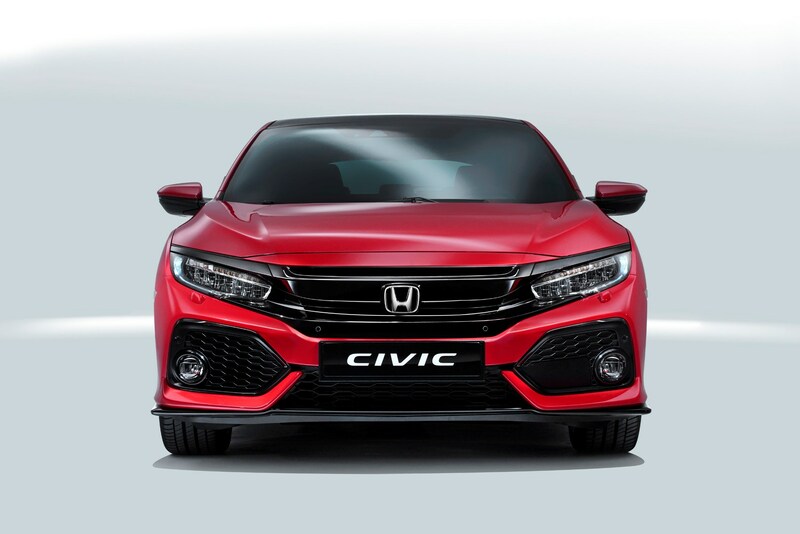 Three option packs are available across all models to further enhance the functional features of the new Civic. 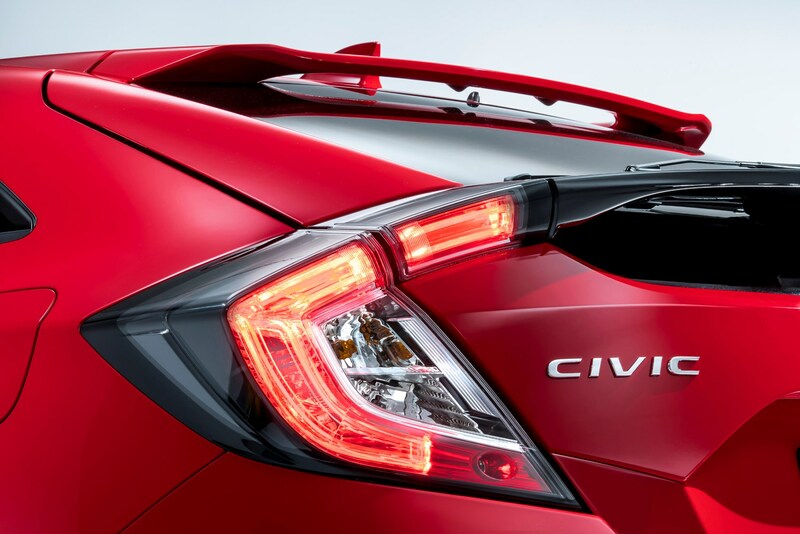 The Civic is offered with the option of a number of amusingly-named special equipment packs: Illumination and sophistication (ambient lights in the front footwells, door lining and centre console to give a soft, cool and sophisticated ambience to the interior, as well as illumination), Touring and organisation, Protection and safety, and Powering communications. 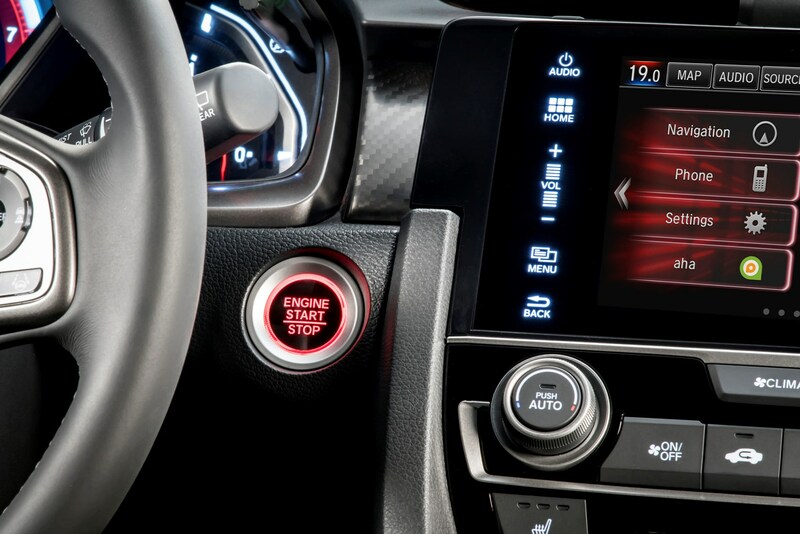 The basic equipment list includes equipment that is standard across all versions of the Honda Civic Hatchback. 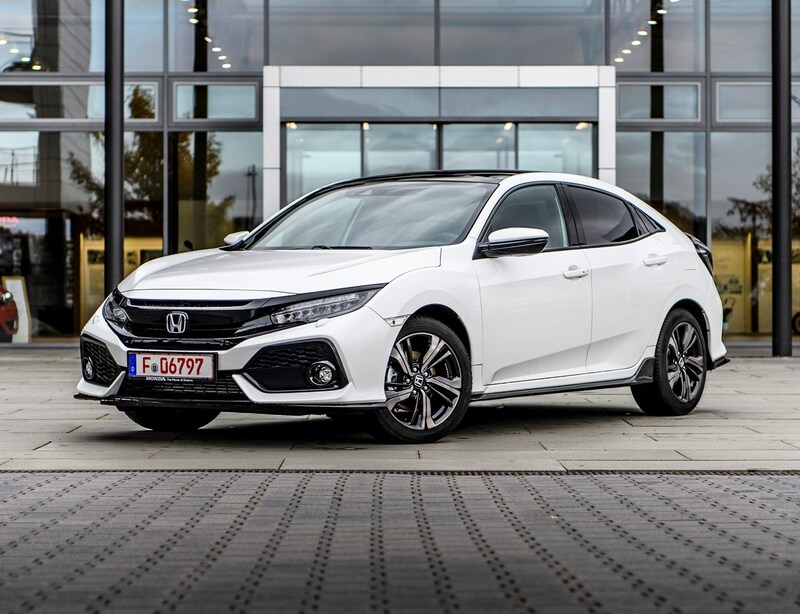 Honda Civic hatchback safety is good, but not as strong as we expected at launch, only receiving a four-star Euro NCAP rating in July 2017. 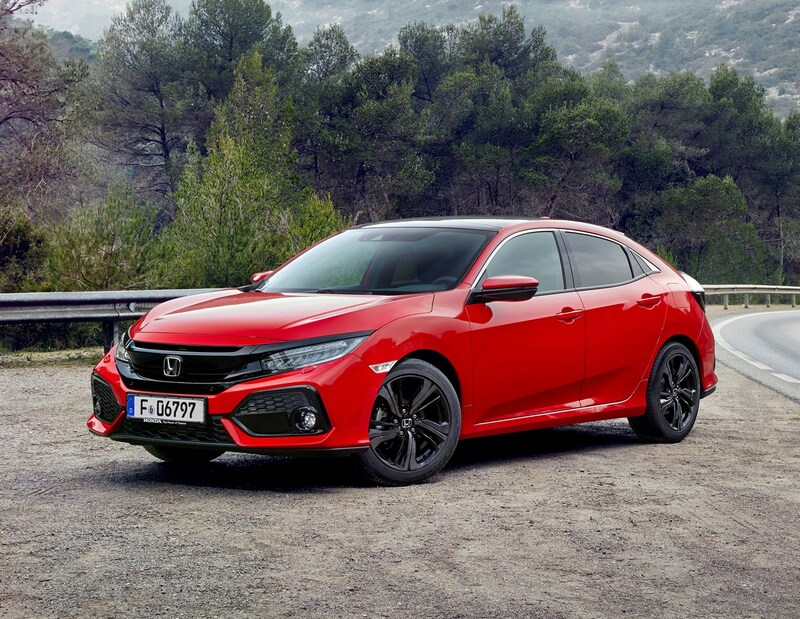 However, following a modification to the design of the side curtain airbag, the Civic was retested before the end of 2017 and gained the full five-star quota. 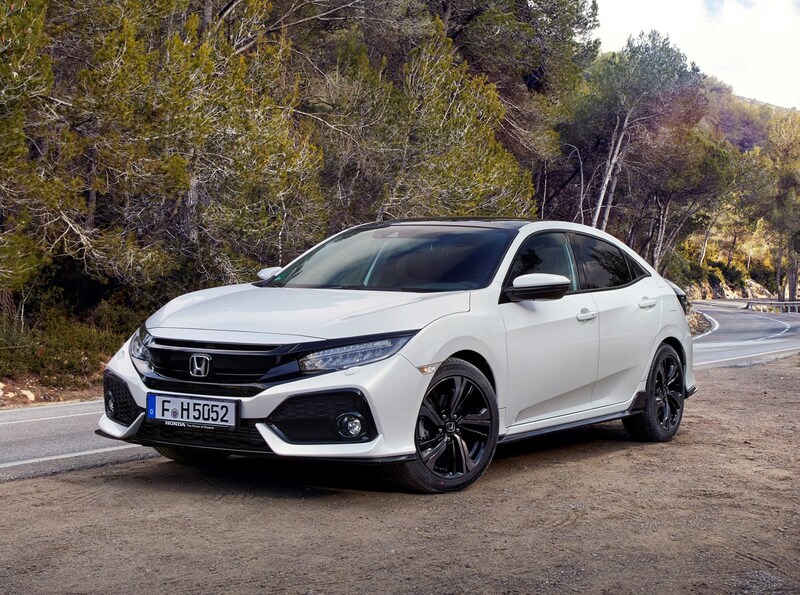 The five-door Honda Civic has plenty of room for four people, with ample legroom front and rear. 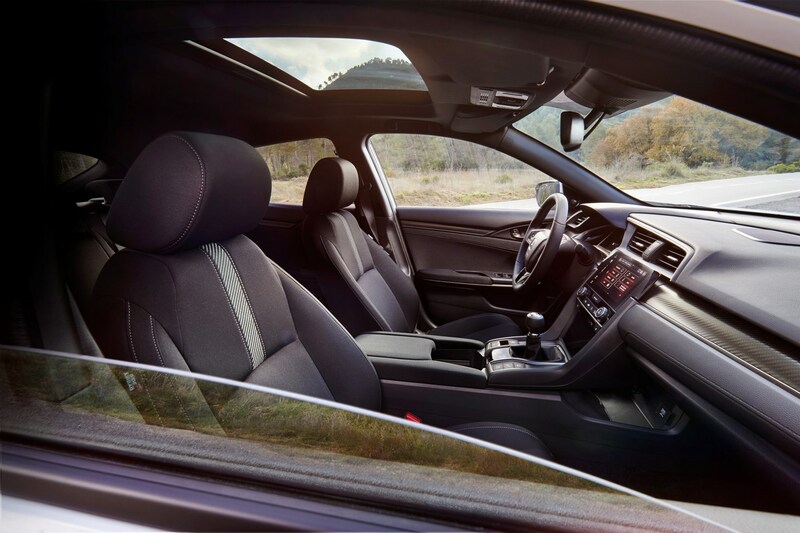 Five would be a squeeze as the rear seat isn’t particularly generous – but this is no better or worse than the Ford Focus or Vauxhall Astra, for instance. 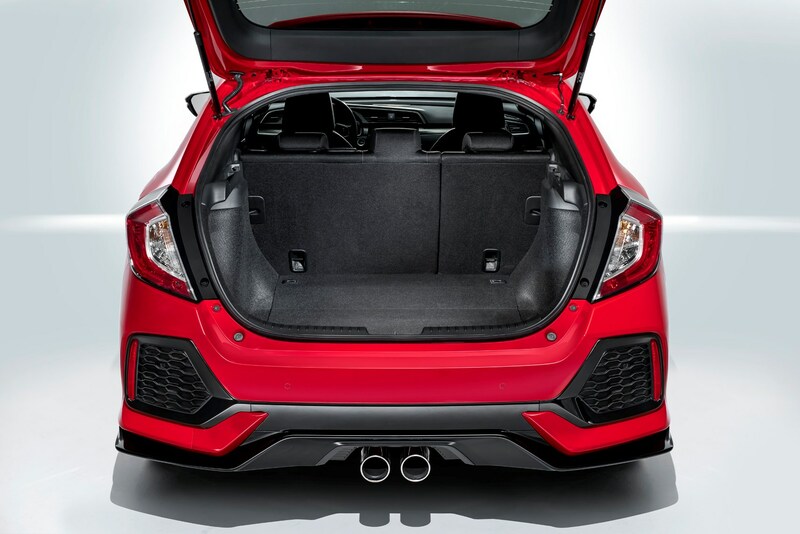 The boot is certainly large enough for most families’ needs – with the rear seats up, space across the range varies between 420-478 litres (thanks to the central exhaust on sportier models). The seats don’t fold completely flat, but there’s still plenty of space when they’re down. Luggage volume grows to 1,209-1,267 litres (depending on model), which is above class average. 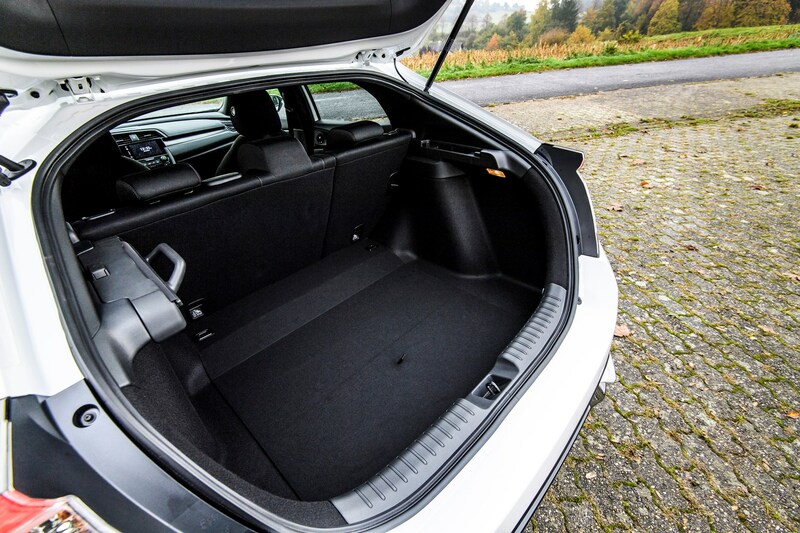 There is a split, level floor, so you can remove the boot liner, opening up to a much deeper luggage area; very much in keeping with the current trend among crossovers. 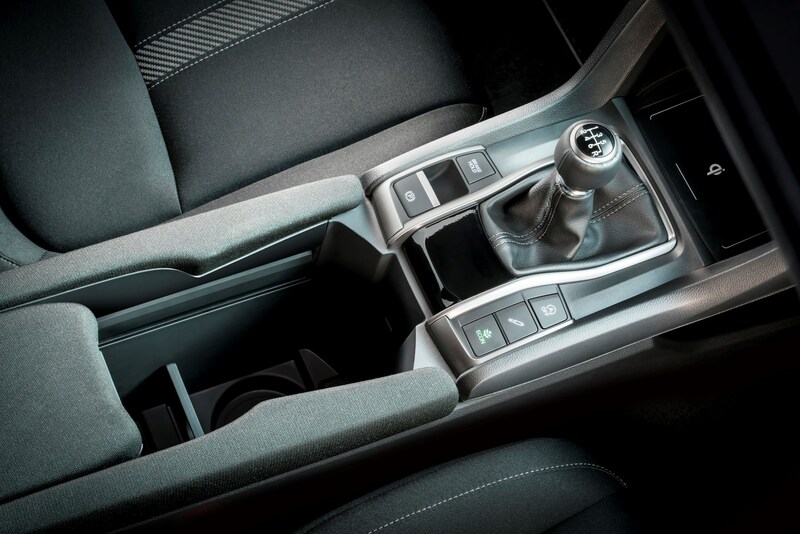 Up front, there are the usual bevvy of cupholders, and a large, lidded storage area in the centre console. The glovebox isn’t massive, which is quite normal in this class of cars, but the lid itself has a nice, high quality feel when you close it. 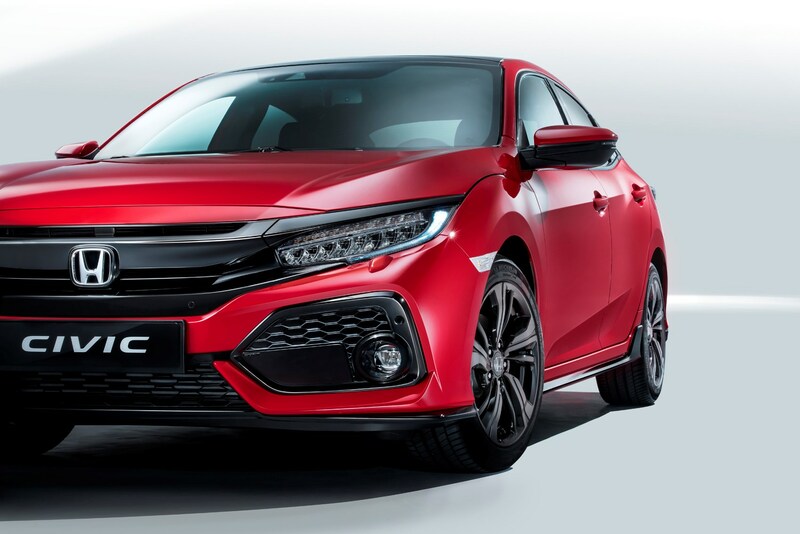 Bear in mind, there’s no estate version, and Honda has confirmed that there are no plans to replace the old Civic Tourer. 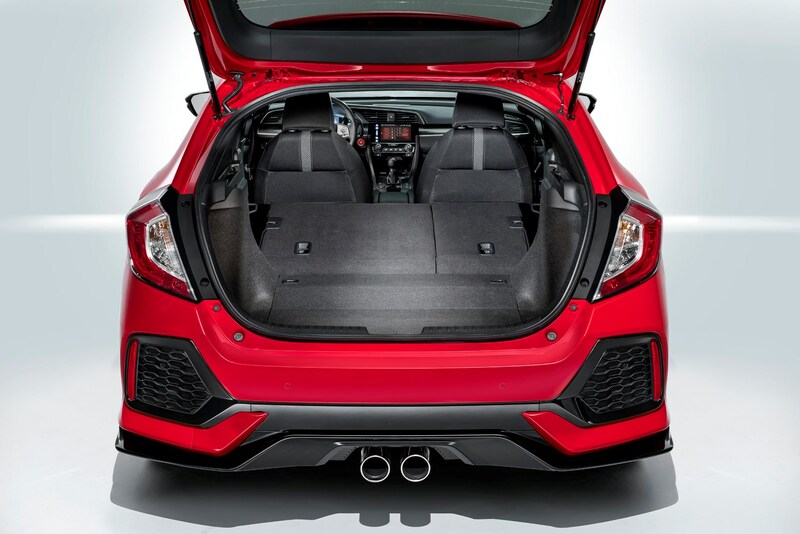 Check the table below to see how the Honda Civic Hatchback compares to other similar cars in terms of available boot space.